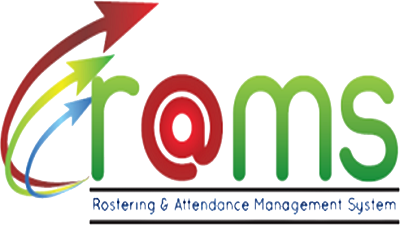 Product Briefing RAMS, is a solution specifically designed for Rostering and Attendance Management.The product is suitable for enterprise organization and is developed on SQL and .net platform. The Solution encompasses various modules starting from Location Management and/or Contract Management , where an organization can have various Customers/Employees, and location/contract is each Employee/Customer can have multiple assignments. Each identified with its start and end-dates and has further attribution of being variable or long-term. Against each location/contract, Allocation Modules organization allocates employees from various accommodations or locations. The Employees are allocated based on their Job-positions, and is extracted from a view from existing ERP software’s (such as Oracle, SAP, JD Edwards or others). The Rostering modules feeds on Allocation modules, by allocating shift based Schedules for allocated staff in each location.The shifts are classified as A, B or C, based on location, and each shift can have different timings which is also location based. The Time Attendance Module takes the framework of Rostering module by taking inputs of schedule while capturing real-time attendance from Biometric and or RFID Terminals. The attendance can be configured based on Function Keys or move in Round-Robin manner (First in, Second-out, etc.). Auto-Error Correction: Ensures that only first punch is taken amongst set of punches accidentally punched by users. The time frame usually ranges from 1-15 mts depending on organization to organization. eRAMS is a product Designed and Developed by ASAS IT, and is marketed by Nirsun and their associate partners.